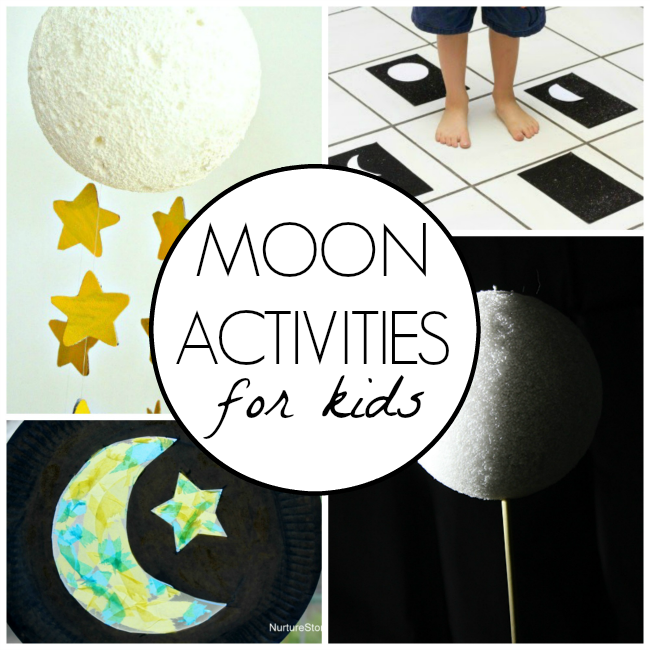 I am excited to partner with Oak Meadow to bring you these fabulous moon activities for kids! We are well into our Oak Meadow Grade One curriculum now. During our first 4 weeks we have been observing and learning about moon phases. 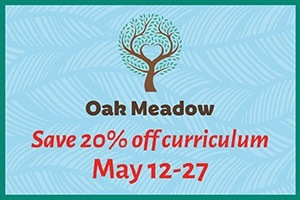 One of the most exciting parts of homeschooling with Oak Meadow is the time allotted for letting little ones explore topics that are of interest. During our first month we have been exploring many different topics, but the one that my boys have been most intrigued with is the moon. 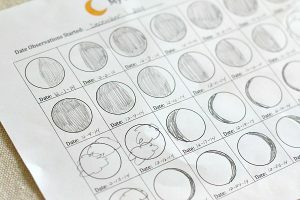 So we have spent a lot of time reading moon books, observing the moon, sketching the moon, and making the moon! We have made the moon out of salt dough and used marbles to make craters. 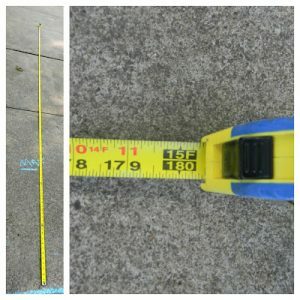 I have swung the boys around in circles to demonstrate how we only see one side of the moon. 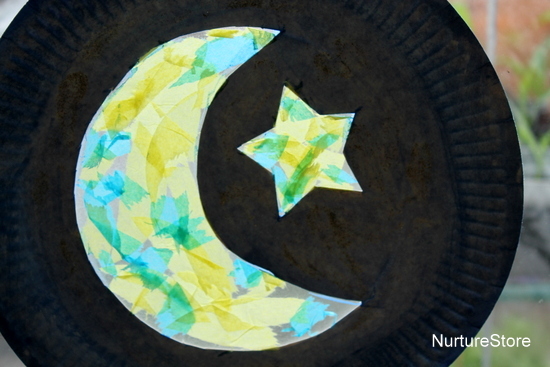 We have sewn crescent, half, Gibbous, and full moons. 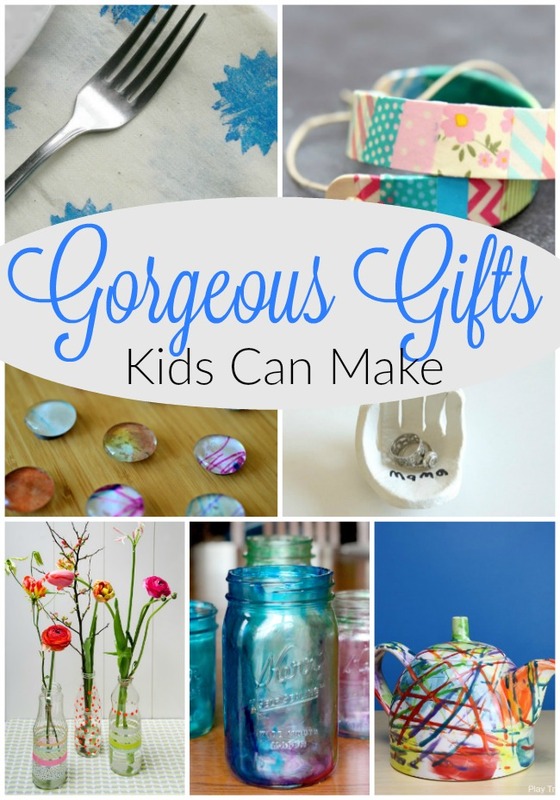 We have spent time diving into this topic, because it is interesting to my little ones. If those little ones are interested and curious, then I feel it is my job to keep that interest and curiosity going strong. 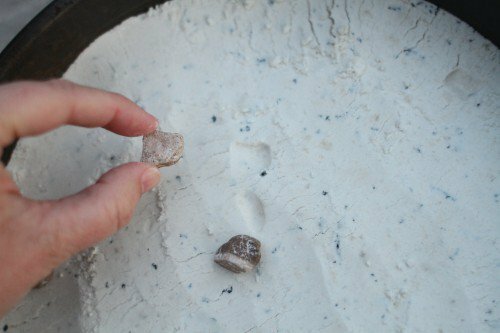 If you have little ones that are also interested in learning about the moon you are in the right spot! 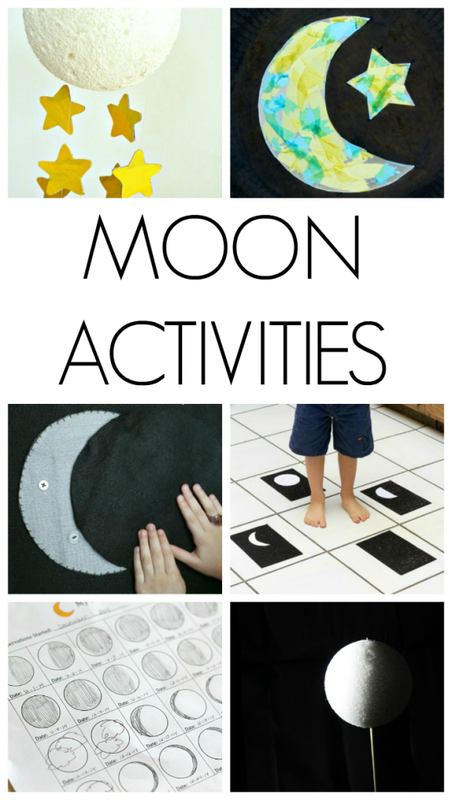 Here are some fabulous ways to explore and learn all about the moon. 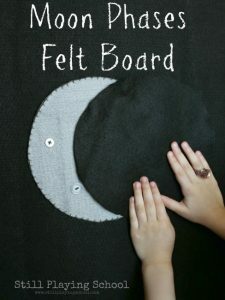 Moon Phases on the Felt Board from Still Playing School – Let the kids get hands-on as they explore how the moon looks different in the sky depending on its phase. 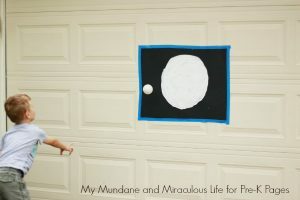 Astronomy for Kids: Moon Journal from Buggy and Buddy – Use this free printable to record moon observations each night. 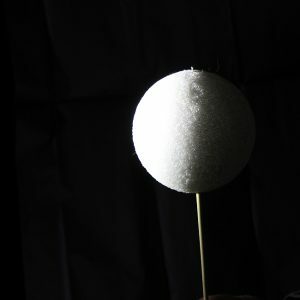 Moon Craft from Fantastic Fun and Learning – Make a three-dimensional moon craft with just a few materials. This is a great way to explore textures, too. Gross Motor Moon Phases from Learn Play Imagine – Get the kids moving as they practice learning about the phases of the moon. 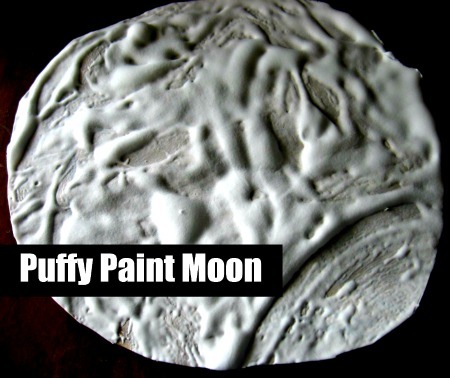 Why Are There Craters on the Moon? 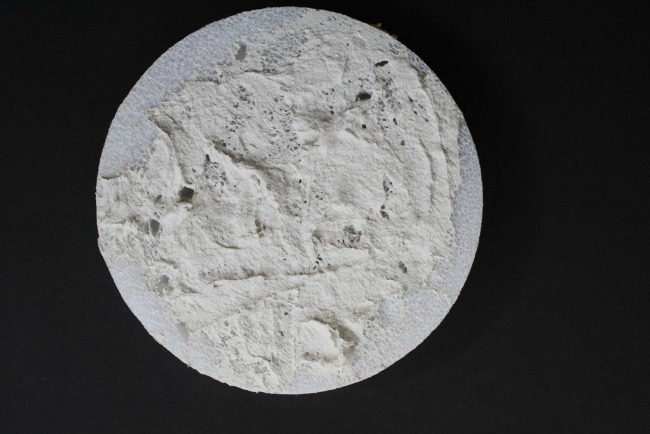 from I Can Teach My Child – A simple science experiment that explores how the moon came to have craters. Paper Plate Moon Craft from NurtureStore – Grab a paper plate and some tissue paper for a beautiful stained glass effect. 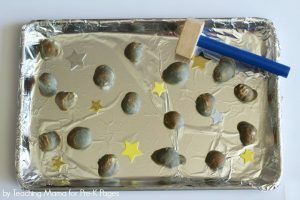 Moon Rocks Fine Motor Activity from Pre-K Pages – Make “moon rocks” together, and then let little astronauts smash them up. The Moon, Willoughby, and the Moon Buggy from JDaniel4’s Mom – Explore weight displacement by making your own “moon buggy” and experimenting with tracks on the moon’s surface. 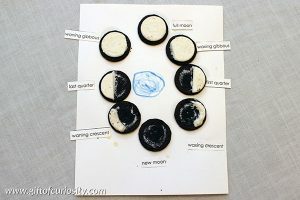 Making Phases of the Moon Using Oreos from Gift of Curiosity – Use Oreo cookies to create representations of the different phases of the moon. Label them and take a picture before having a treat. 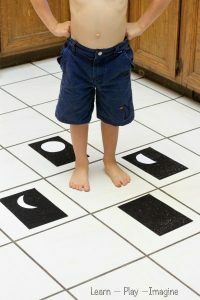 DIY Moon Phase Puzzle from What Do We Do All Day? – Make your own puzzle to explore the different phases of the moon. Let the kids explore and build the puzzle over and over as they learn more. 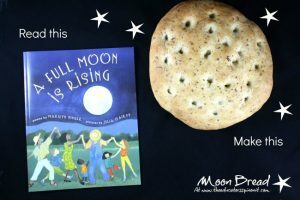 Making Moon Bread from The Educators’ Spin On It – Learn about the moon with the kids, while reading and baking together. 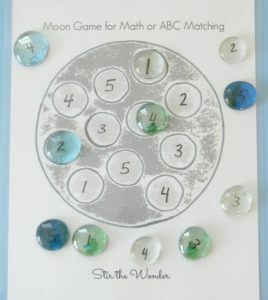 Moon Math Game from Stir the Wonder – Turn the moon’s craters into numbers and play a simple dice game. 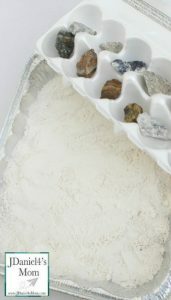 Switch it up and make the craters into the alphabet for another take on the game. How Far Could You Jump on the Moon from Finding the Teachable Moments – Such a great way to explore how far you can jump on the moon versus the Earth. So simple, but so meaningful. 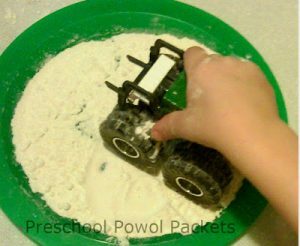 Moon Crater Gross Motor Activity from Pre-K Pages – The kids get to be asteroids in space as they explore how craters occur on the moon. 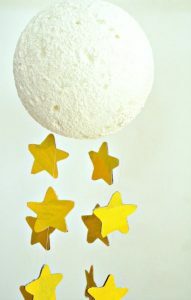 Moon Craft Mobile from Fantastic Fun and Learning – Bring the moon inside with this homemade mobile. Kids can create the craters on the moon before adding stars and hanging from their ceiling. 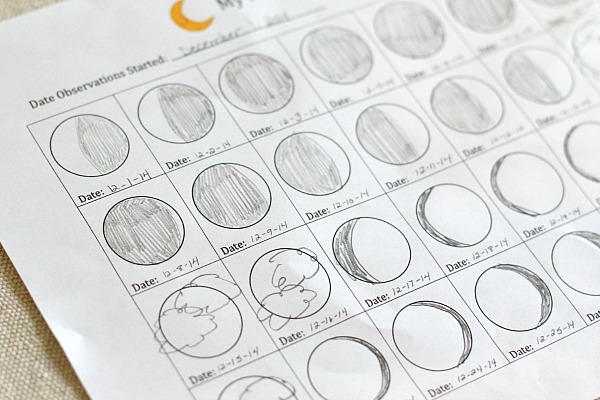 Moon Phases Experiment from We Made That – Use a few simple tools to set up this experiment. Kids can explore how the moon’s phase changes in comparison to the sun. Make a Moon Phase Viewer from What Do We Do All Day? 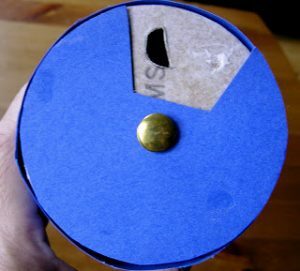 – Make a moon phase viewer using an empty salt container. 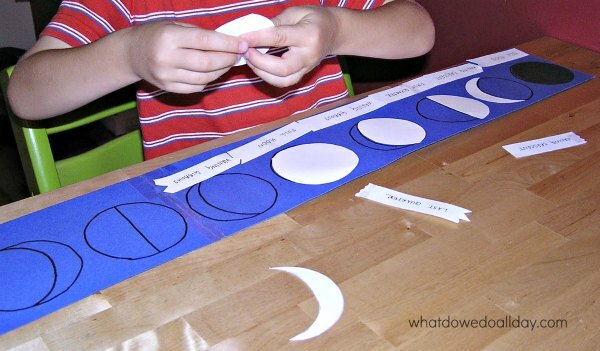 Kids can explore how the different phases of the moon look, and then compare to what they’re seeing in the night sky. 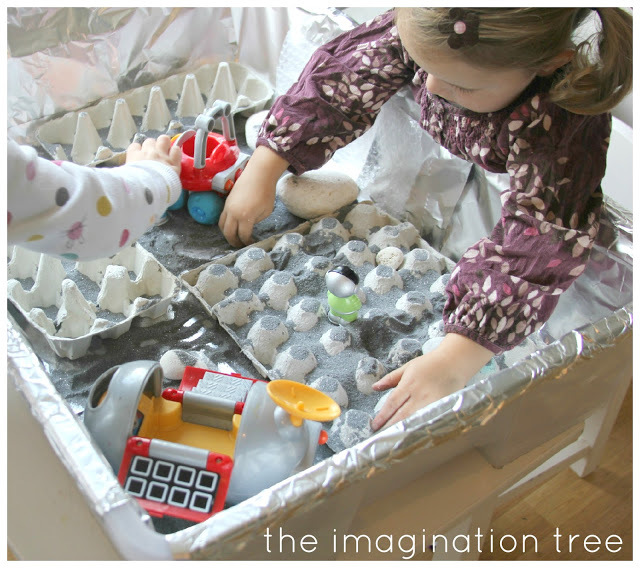 Lunar Landscape Sensory Play from The Imagination Tree – Children can turn a sensory bin into the moon’s surface. They can play, pretend, and explore some of the concepts they’re learning about the moon this way. Moon Rover Tracks from Preschool Powol Packets – A simple, fun experiment that illustrates the difference between tracks on the moon and tracks on the Earth. Puffy Paint Moon Craft from No Time for Flash Cards – A few craft materials are all that’s needed to make this sensory art experience with the kids. Lots of dreaming and imaginative play is bound to happen with these activities. Who knows, maybe our little ones will even be astronauts together one day. 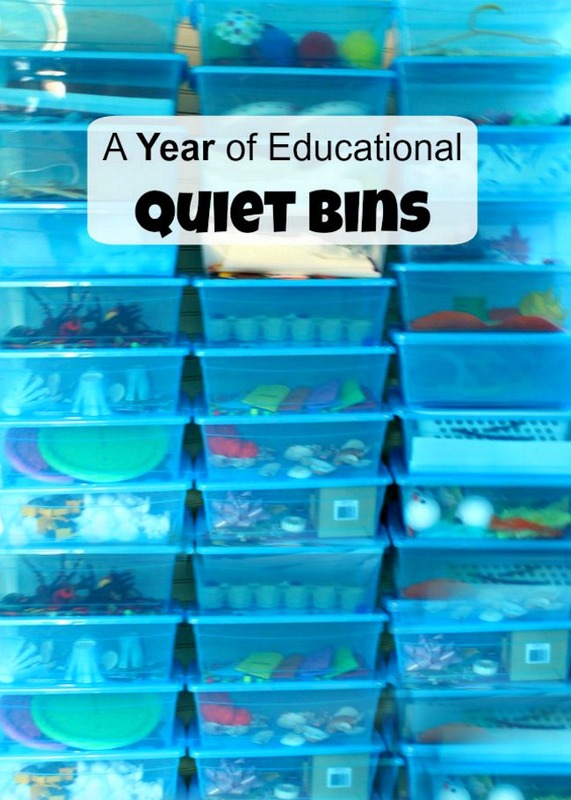 Thank you Oak Meadow for your fabulous Grade One curriculum – we are loving it! And thank YOU friends for being here. I hope you are having a fabulous week.